The former church building didn’t have many windows, or much of anything that made it look like a state-of-the-art dental office. But High Country Dental is all about dramatic transformations. 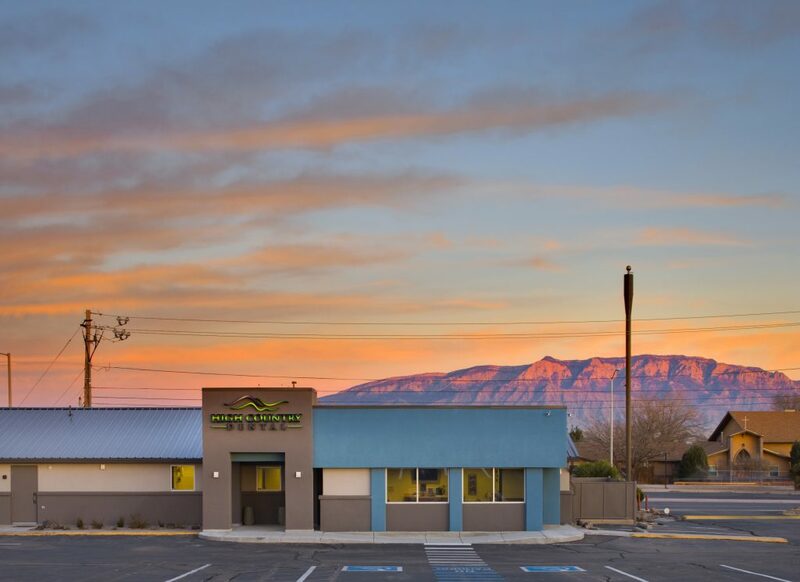 Many of the patients who seek treatment at High Country Dental haven’t been to a dentist in years. 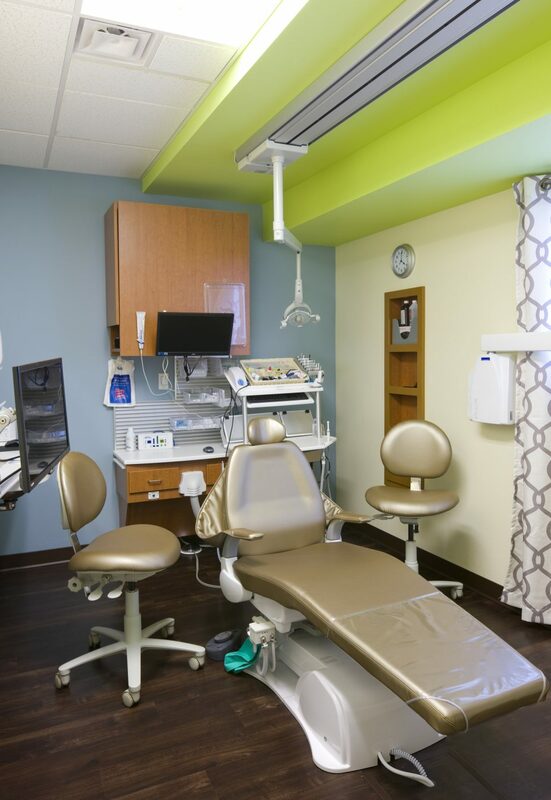 The practice focuses on sedation dentistry as a way to ease patients’ fears. 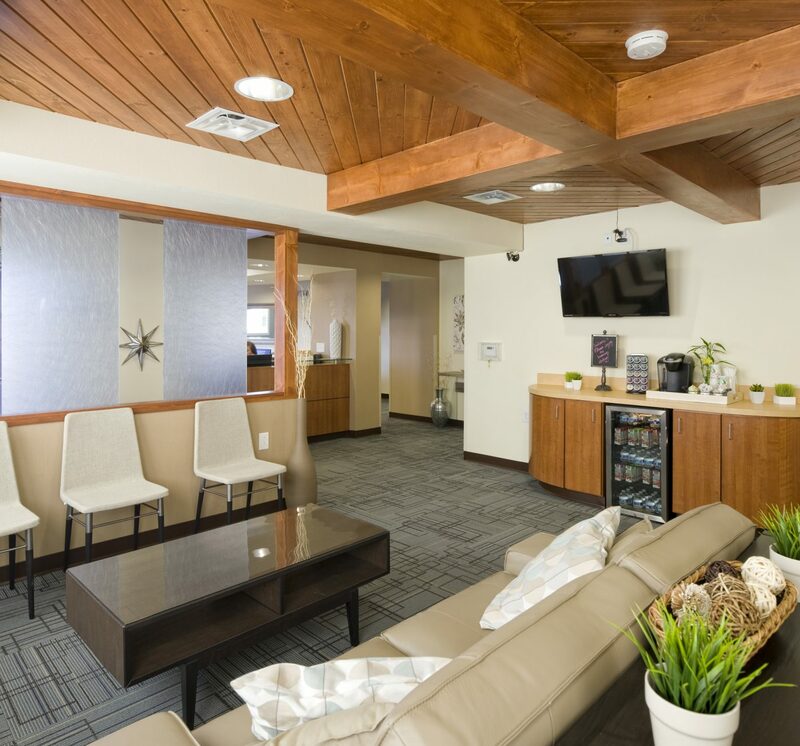 It is a place where patients are offered warm blankets, neck pillows, and noise-canceling headphones. 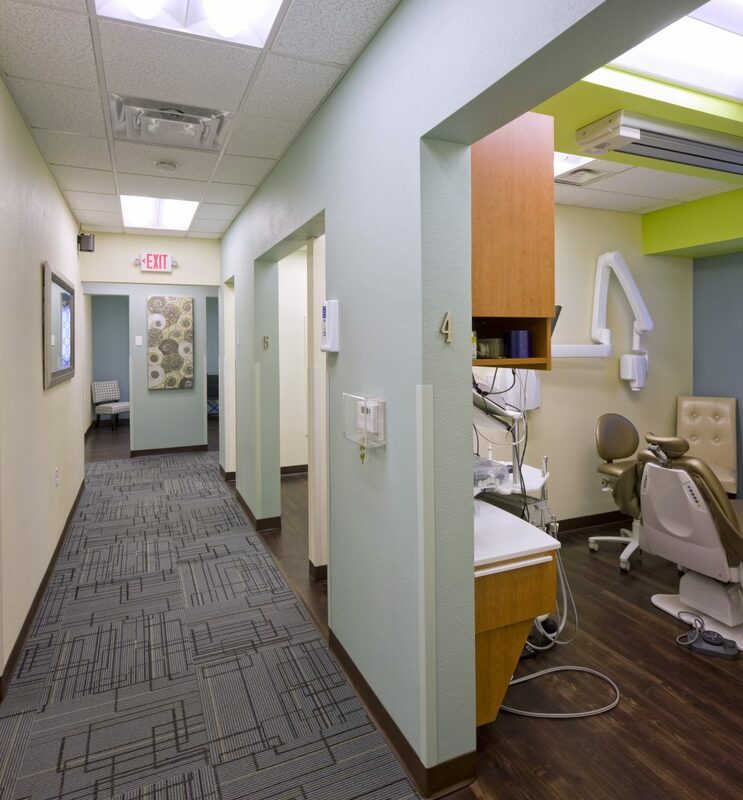 The building renovation had to enhance the dentists’ mission to put patients at ease. After the basic floor plan was established, all aesthetic decisions were made to create a contemporary, comfortable space. Natural light was imperative to that vision, so new windows were added in each operatory. All senses are engaged via the integrated sound system, twinkling of the decorative fountain, colorfully textured furnishings, and appropriately dispersed aroma of essential oils.